I clean my water tanks every year aboard my boat, but the water never tastes good. Buying water bottles was our solution, but storing and disposing of hundreds of plastic bottles was not good. To solve the problem I added a fresh water tank using a 5 gallon water bottle like the ones delivered at work. Bottled water services will deliver water to your home or marina. You can also buy them at home centers, like Home Depot. I used a nylon strap and buckle to secure the bottle in my cockpit locker as shown in the sketch at left. To cap the top of the bottle, I found a PVC pipe endcap that fit. A hole for the hose and another for a vent and I was ready to route the 1/2” hose to the galley. To keep things simple, I installed a second galley faucet that is hand operated. Once the hose was connected we had fresh tasting water whenever we needed it. We found a couple nice stainless steel water bottles for the cockpit. No more crushing and disposing of plastice water bottles. Now I’m thinking, would this work for rum? 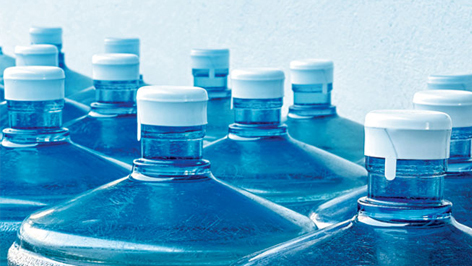 You can treat your tanks and keep them relatively clean, but nothing beats bottled water. 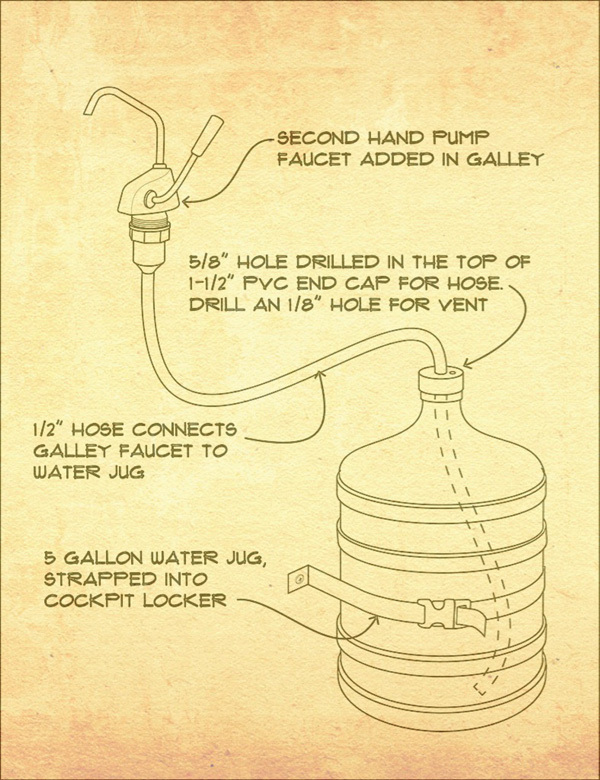 Check out this super simple idea on how to add perfect drinking water aboard your boat!